So to continue my story in this Upper Extremity Category on my website, I pick up from my last blog post to now finally getting around to writing about my surgery for Long Thoracic Nerve(LTN) Microneurolysis within my Brachial Plexus Decompression for the diagnosis of scapular winging and Neurogenic Thoracic Outlet Syndrome (NTOS). 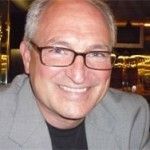 My last blog left off in May of 2016 when I was healing from my left elbow lateral collateral ligament reconstruction surgery. I healed excellent from that surgery with full ROM and strength in the elbow. June 2016 – I had two EMG/NCV studies done, one by a Neurologist and the other by a Physiatrist, both with the same finding. A 50% reduction in the recruitment of my Serratus Anterior Muscle which is innervated by the Long Thoracic Nerve and the rest of the studies were all negative. Even though the studies were negative, I did have pain and weakness along the course of the radial nerve down my arm. I also had a left shoulder MRI, and a cervical spine MRI with no contributing findings in either the shoulder or the neck to be causing my nerve problems and/or scapular winging. I believe I had some injury to this LTN nerve from 2 prior major whiplashes back in the early 1990’s but my scapular winging was not fully apparent till after waking up from a left shoulder surgery in July 2011. I believe I suffered from a traction injury to the nerve while under a brachial plexus nerve block and in a side lying position of my body under anesthesia with my arm in traction for the arthroscopic surgery. From the early days of rehab, it was very obvious that my scapula was pressing into the floor when laying down on my back. 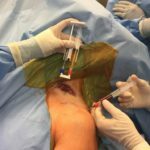 I also had nerve pain at and above the injection area of the brachial plexus that continued on for several months after the shoulder surgery. I went through a 6 week course of IMS-dry needling to calm the muscle spasms down from the surgery/injury. 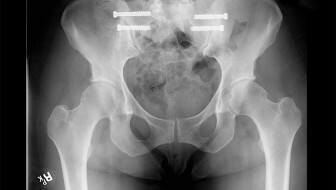 Because of this injury, I have never had any more nerve blocks whatsoever done for any of the multitude of orthopedic surgeries that I’ve had. For me, general anesthesia works just fine without any blocks. He had reviewed my YouTube video and medical records and said I was a classic case of having compression to the LTN and that I met the criteria for surgical decompression of my brachial plexus and microneurolysis of this nerve. Here is my YouTube video showing the left shoulder scapular winging with my osteopath, Dr. Lenoue, speaking on the video that we made together. I was so grateful that Dr. Nath gave me a 2nd opinion confirmation on my diagnosis and that he had published case history on this subject that I could read about. 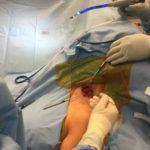 I was empowered to return to my surgeon, Dr. Thomas Trumble in Bellevue(Seattle) who is an Upper Extremity Orthopedic/Microsurgeon Specialist who is more well known and published on Hand Surgery. So I asked him if he was able to do the same surgery that Dr. Nath writes about. In my ignorance, I sincerely didn’t know that doing Brachial Plexus Nerve Decompressions was within the scope of practice for Dr. Trumble’s training. That being said, he was trained and I decided to move forward with the surgery under his care and expertise. October 21st, 2016 – My long awaited day to change the course of history with my left shoulder/arm. 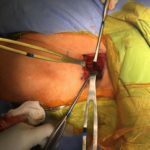 Surgery was held at the Overlake Medical Center and Dr. Trumble was assisted by his partner surgeon, Dr. Cameron Schick who is also an Upper Extremity Trained Specialist. Here are my YouTube–Dr. 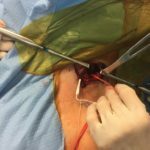 Trumble’s Intraoperative videos of stimulation of my LTN nerve pre and post decompression which show a change in the strength of the nerve flow to the muscle. The last video is showing the use of Platelet Rich Plasma(PRP) injection into my A/C Joint and the plasma into surgical incision. Here is my YouTube video at 3 weeks post op showing the miraculous improvement of the use of my left arm compared to the prior video above. Compared to most of my other many orthopedic surgeries, the pain post op was very minimal and I used my cervical neck collar till I felt strong enough in my neck post surgery which was less than a week. The physical therapy I did was mainly range of motion movement and nerve gliding exercises during the first 3 months after surgery. The idea was to not stress the nerves or neck. After 3 months, then I was able to use my arm fully. However, with the wonderfully opened up flow of all my arm nerves coming from the brachial plexus bundle it then became apparent that there was further nerve compression under my pec minor muscle and some burning nerve pain in radial nerve tunnel under supinator muscle of forearm. 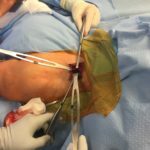 I proceeded to do several rounds of nerve hydrodissection injections along various spots of the radial nerve in my forearms to loosen up the tight fascia overlying my radial nerve and superficial radial nerve. The pec minor/nerve compression was not responding to the completed 8 weeks of physical therapy so another surgery was planned for 12/29/16. 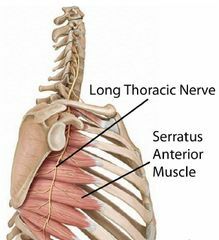 However, the response and improvement in my serratus anterior muscle’s ability to anchor my scapula in raising my arm past 90 degrees was nothing short of a miracle once the Long Thoracic Nerve had been decompressed. 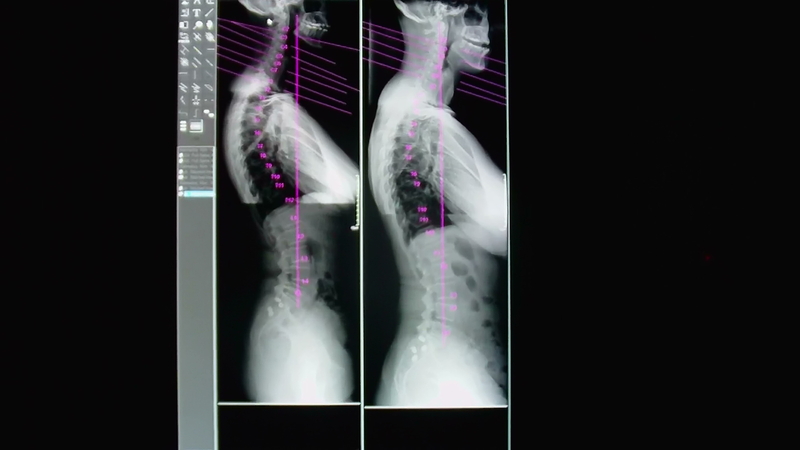 With the improvement of the scapular function, I also had improvement in the left upper ribs connecting to my spine and the tight neck pain was gone too on my left side. 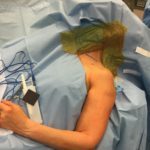 My surgeon, my osteopath, my chiropractor and my 2 physical therapists were all extremely pleased with the results of this surgery in improving shoulder/scapula function. Stay tuned for my my next blog will be about the 2nd Part of my Neurogenic Thoracic Outlet Syndrome—-Pec Minor/Short Head of Biceps Lengthening, decompression of the neurovascular bundle passing under the tendons of these muscles that attach to the coracoid process. See and like my Si-Instability Facebook Page. God Bless my Surgeon, Dr. Trumble, who gave me the ability to have a normal functioning shoulder and to all my website, and Facebook page followers. To your health and well-being!! !